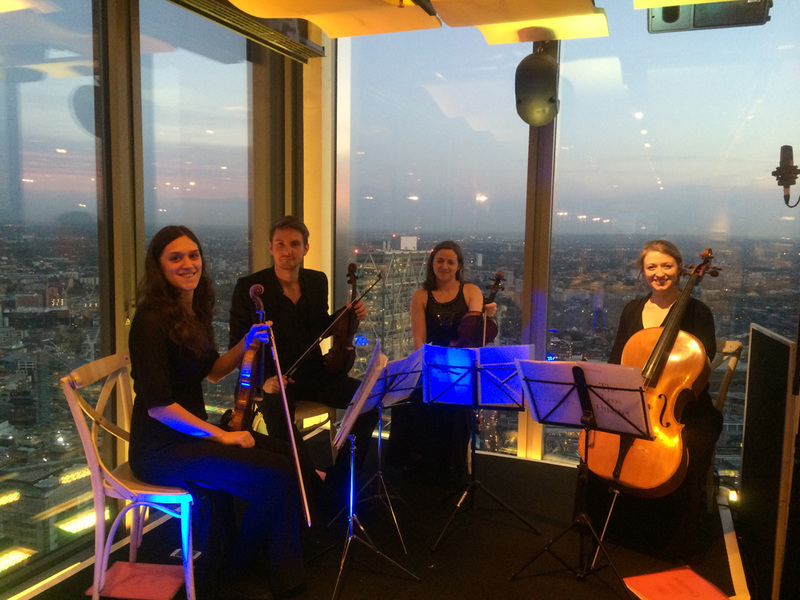 Whether you’re after a string octet for a product launch or an informal duo living room recital for an 80th Party; we’re the ensemble for you. Rachel will guide you through the booking process creating a bespoke package just for you. 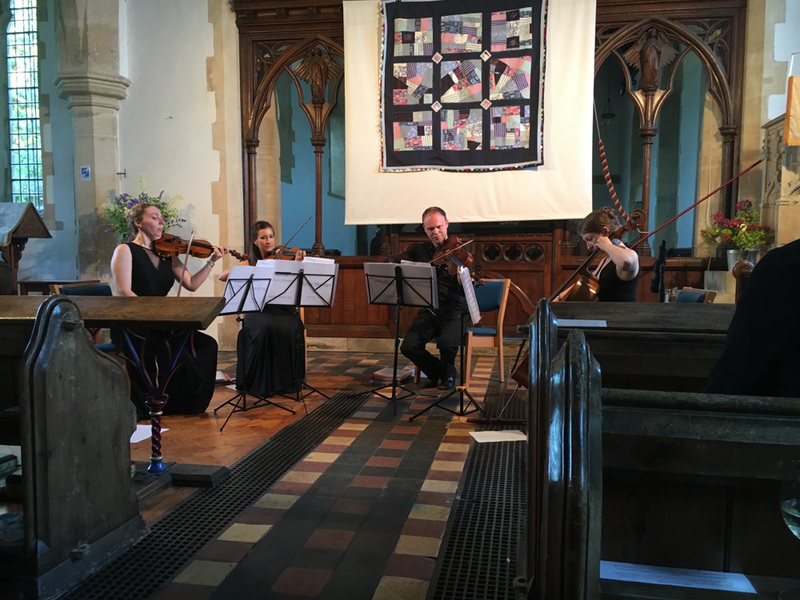 We are continually adding new pieces to our repertoire and can arrange most pieces of music for strings if given enough notice and for an additional fee, so please do ask if you have a specific requirement. 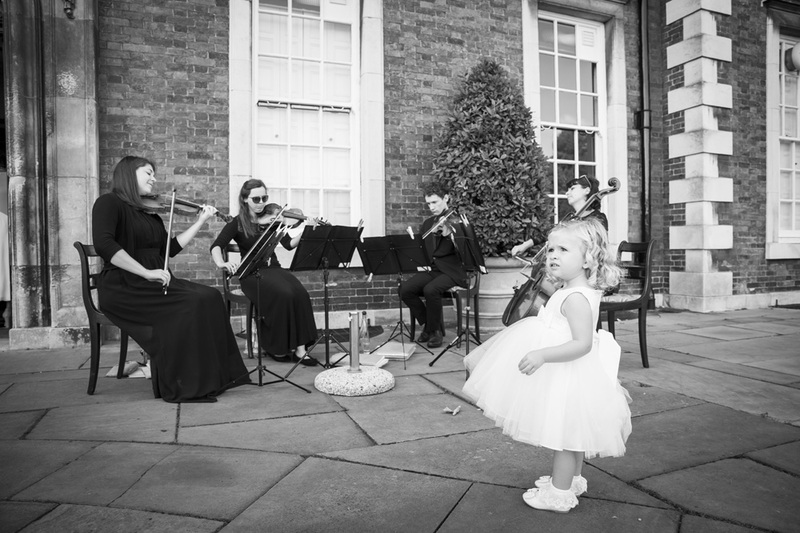 We are also available to hire as String Quartet & Soprano. Watch our video (on the right) and click here to see our repertoire list. We regularly perform for Weddings across the UK ( & occasionally abroad too!) and have over 10 years experience in the field. We’re happy to help you with every step of the planning process, or if you have it all figured out – we’ll do as you ask! We have compiled a list of our most popular Wedding Packages which tend to suit most couples, but we can of course always create a bespoke package based around you and your needs if required. For an up to date list of our packages & prices, please email Rachel. If you have a favourite piece or song which you can’t see on the list, please let us know and we can look into sourcing the sheet music for you. I really want to thank you so much for playing at our wedding. You guys have made it such a memorable day and we really appreciate everything you have done for us. The wedding would not be as special as it would be without you guys. Your quartet has done exactly what I wanted it to, and has really added to the whole atmosphere of the wedding. We’ll forever cherish our wedding day and the moments you helped us create with your music. Hi Rachel, just wanted to say a huge thank you for making our wedding amazing! All our guests commented on how beautiful the duo sounded, you helped make our day elegant, and special. We loved the eclectic mix of modern and classical, and we had your CD playing throughout our wedding breakfast also, couldn’t recommend you highly enough. Rachel and the Leos Strings are absolutely amazing. I chose them after hearing Kissing You on their website. From the moment I first made contact, Rachel was a pleasure to deal with. On the day the music they played was perfect and went perfectly with the wedding theme, everyone commented how good they were. The new Mrs Robinson and my new father in law especially loved them, major brownie points for me. I asked them if they could play Alice’s Theme from Alice in Wonderland and it was perfect, I can’t thank them enough. My new husband and I would like to sincerely thank you all for your wonderful performance at our wedding reception (April 22nd), the music you played was beautiful and it fitted seamlessly into our setting. We had many comments from our guests about how well you played and some of our guests were delighted watching you perform. It really provided a great atmosphere for everybody upon their arrival. 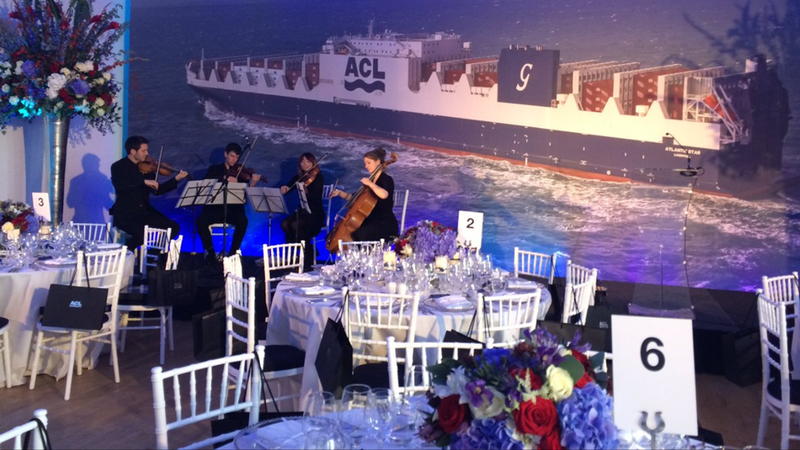 We can perform background music for events and tailor packages to suit your requirements and timings. Please email Rachel to discuss your event in more details and to discuss how best we can enhance it with live music. Thank you so much for the beautiful music you played at our Mum’s funeral reception. Although it was a very sad occasion for the family, the music lifted the sadness and provided family and guests with stunning music during our afternoon tea. My mum would have loved the music! 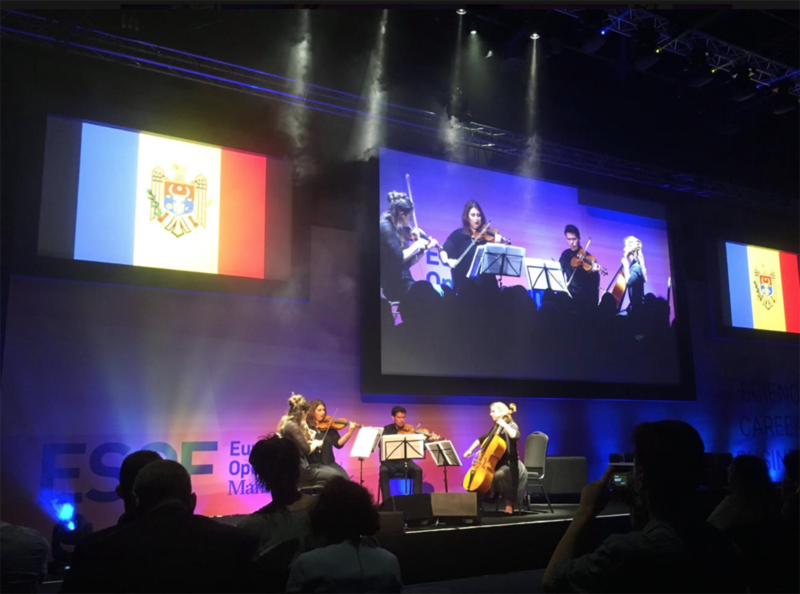 All family & friends commented on the talented quartet and the musicians provided a subtle presence which was appreciated by all, playing wonderful classical pieces. Thank you so much for being part of the celebration of our mum’s life. Thank you also for organising this special day with your sensitivity and understanding. Absolutely first-class. Leos Strings arrived well ahead of the intended start time. They were very nice people, all well presented and very polite. Their music was excellent and much appreciated by all at the event. They made a great birthday celebration even better. I would strongly recommend them and will be more than happy to ask them back to the next event I have to arrange. 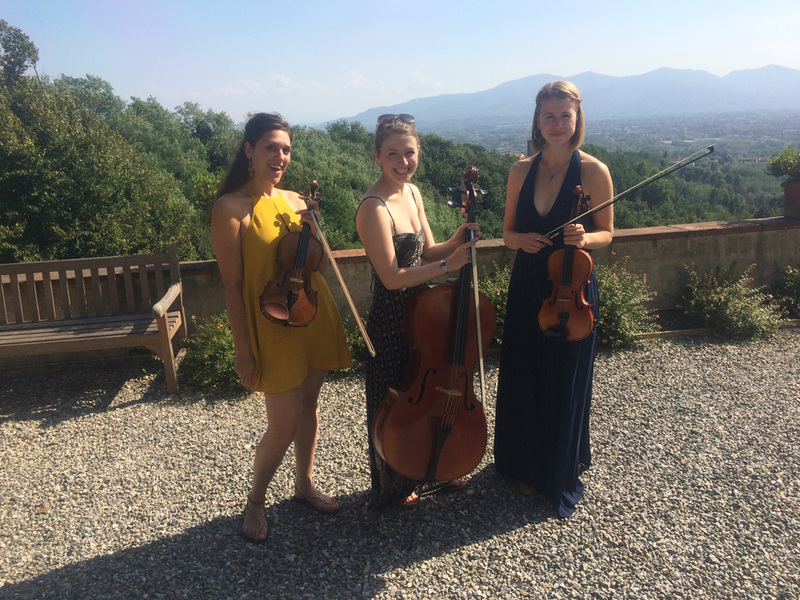 Leos Strings have just returned to Hale Golf Club for our third Classical Evening and left us clamouring for more. 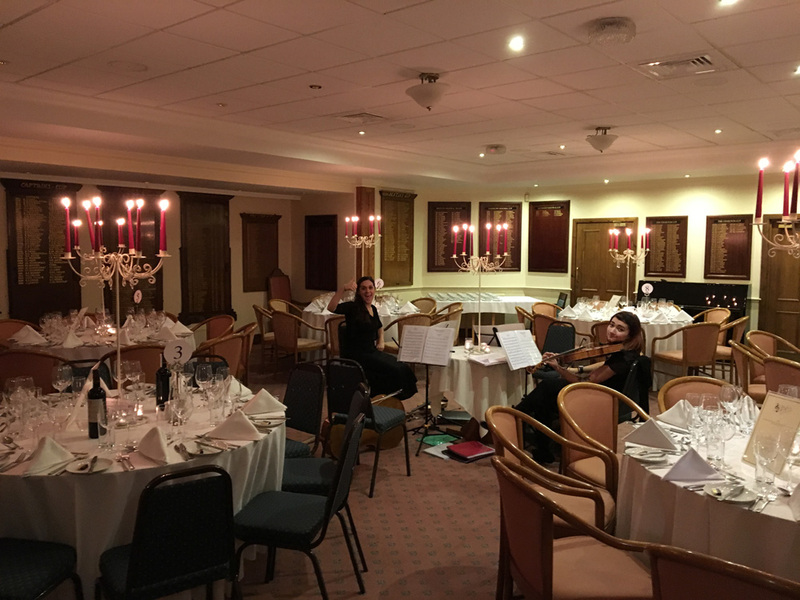 Now a regular highlight of the Golf Club Social calendar Rachel and her Quartet performed a wonderful selection of pieces …from classical music to favourites from stage and screen and then to recent classics such as Oasis and Coldplay. Something for everyone and Rachel’s unique and chatty style made us feel right at home with old friends. Loved every minute and looking forward to next year’s booking already. I had the pleasure of being at Hale Golf Club on Saturday and I thought I should write to tell you how much me and my friends enjoyed the evening. In a way, and remembering your “school”, your technical mastery of those wonderful instruments might be a given. But those creative arrangements across many genres to which you treated us were so immensely enjoyable. And even more striking was the unbridled joy that you bring to your performances which shines through and reflects on each member of the audience. So very well done to you all; I wish you continued success and of course I hope we are able to welcome you back to Hale in the future. It was all simply wonderful. Thanks for a super recital last night. I can’t remember so many members staying for tea, mince pies and a good chat since we started having a performance event for our Christmas session. 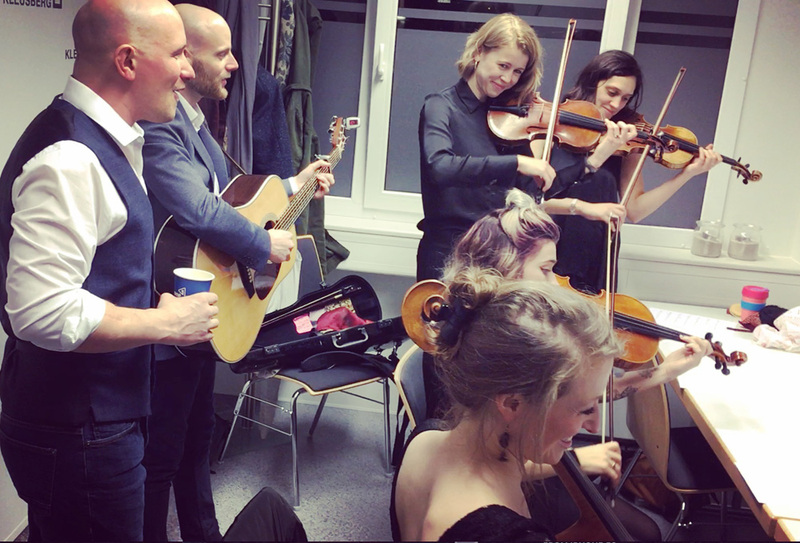 Everyone was impressed not only with your repertoire and skills but also the lovely informal way you conducted (pun intended) the evening. I know that if you have the opportunity to return to the Heatons you will have a very warm reception and audience.